A. Easy!! That would probably be The Evolution of Mara Dyer and The Girl of Nightmares! My answer was: The Beach. That answer definitely has not changed. I'm still dying to get to the beach! LOL! Amazing choices. I went with two books that are currently out but I sooooo want The Evolution of Mara Dyer. Can't wait for it to release (and for our discussion afterwards). "The Girl of Nightmares"! I also really want this book, but I have to be sure to finish the first in the series. I can already tell by the first book that I'm going to enjoy this author, but I'm trying to control myself at least for a little while longer! 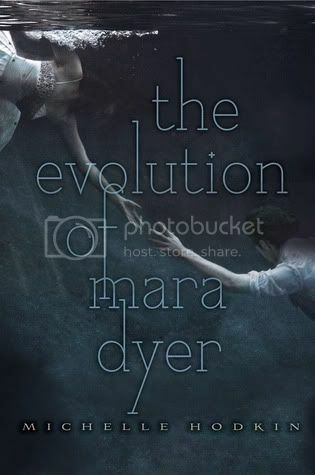 I want to read The Evolution of Mara Dyer too, Great picks! Hopping through. I can't wait to get Evolution of Mara Dyer. I loved the first book. Oh my goodness this is such a cute site! Great choices by the way, I'm dying to read Girl of Nightmares! I just loved Anna Dressed in Blood! Great choices! I would love to read both of these books. Just started following you via GFC ! I can't wait for Girl of Nightmares!! Anna was so freakishly good! Hopping through. New GFC follower. Great choices! I picked a signed copy of one of my favorite PNR books Lover Awakened by JR Ward and contempt romance Bared to You bt Sylvia Day. Happy FF! Happy Friday and those are awesome choices!! I Cannot freaking wait for Mara Dyer - I loved the forst book so much! I loved The Unbecoming of Mara Dyer, so I can't wait to get my hands on THOMD! I have Anna Dressed in Blood on my Kindle and the audio version, but haven't had time to read it yet. 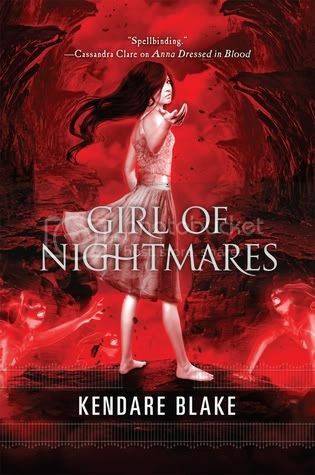 :( I've heard it's fantastic, so I'm sure I'll be looking forward to Girl of Nightmares, too! Great choices! Ooh i forgot about GON, but completely agree. After reading Anna, I really want to find out.. like lol WHERE THE HECK SHE WENT! So hehe great choices! Old follower! Great choices! I haven't read The Unbecoming of Mara Dyer yet but it's on my list. I also haven't read Anna Dressed in Blood. New follower! Both of those books look great. I hope you get to own them soon! I haven't hears of these but I hope you are able to get them soon! Nice! I still need to read Anna...! Can't wait to do so though! new follower through GFC as lucyatmax. Please visit/follow me at bethartfromtheheart.blogspot.com . I love meeting new fellow reader/bloggers! I will have to check these books out! Hello I’m stoping by from the Follow Friday hop, have a great weekend. 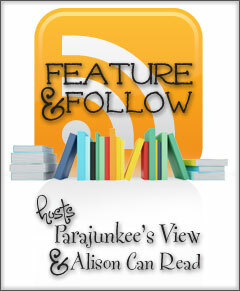 I’m a new follower, stop by my blog if you have the time. I can't wait for Girl of Nightmares! Love Cas <3 and I really should pick up The Becoming of Mara Dyer. Honestly, I don't know why I haven't yet. oh well. Great picks! Oh, hey! I'd definitely hang out at the beach with you, reading those two lovely books (they're on my list, too)! YES! Girl of Nightmares. Yes! Ooh, a book blogger beach trip sounds like LOADS of fun! Two good choices, have a good week-end. Hi! I'm a new follower! And, I would love to get my hands on both of those books! I can't wait till they come out! I just ordered Anna Dressed in Blood! I want to see what everyone's so excited about and why Girl of Nightmares is in such high demand :P. Have a great weekend :).